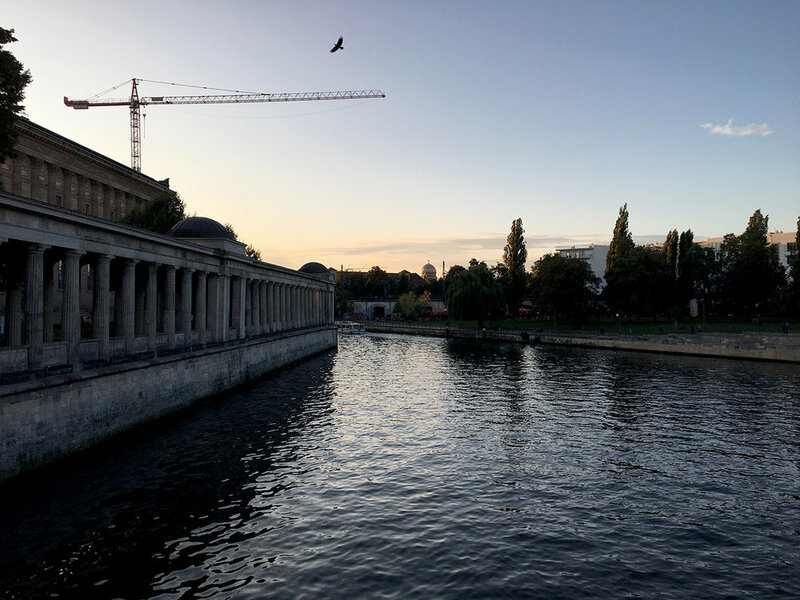 Of all the cities we visited this September, the only one that I hadn't visited while abroad was Berlin, and it was the one that both Caleb and I were the most excited to experience. It was also the city we were most nervous about the language. Paris had a new language, but I had taken classes in french so that we could at least know the basics and necessities, like ordering a baguette! Priorities. And being in more of the touristy areas of Paris, we could always find someone who spoke english if we had to. But in Berlin, we were going from French to German, and neither of us had done that much studying in German. But we arrived completely and utterly blown away by the hospitality, the cleanliness, and how modern the city was. We had our first uber driver that could speak fluent English and was kind enough to give us a history of the city and some main areas to explore. Each of the past uber drivers were very kind, but could only say english greetings. They also had no idea where or what "Oklahoma" was, and we were absolutely shocked when our Berlin uber driver yelled "Thunder!!" with a fist in the air after we told him where we were from. At that moment, we had a good feeling about the city. I was most excited about our airbnb in Berlin. I had researched areas and searched and searched for a place that would be as unique and interesting as the city, and I have to say, I outdid myself! ( ; We arrived to our airbnb with our host waiting to greet us, which was a first on our trip. Our hosts were absolutely amazing! He walked us through the place, showed us where everything was, and before leaving, he handed us a guidebook that his wife and he had created and a map with places already circled for us. It was hospitality beyond anything we had experienced so far. The entrance to our airbnb. After settling in, we took the map and set out to explore our surroundings and get some food! Immediately, the city felt so different from London and Paris. The buildings were extremely modern, the streets were wide, and there were bike paths EVERYWHERE! The one regret we have from our time in Berlin was that we didn't rent bikes. So if you go, be sure to rent bikes for the day. You'll get everywhere faster and save your feet! Both of us, having ate breakfast before we had boarded our plane early in the morning were starving. So we set out to find some good authentic german food. We walked along one of the streets that lead to a square and passed the most heavenly smelling restaurant, but it being the first restaurant we passed, we kept going. We got into the square and decided to turn back towards that restaurant, and friends, we are so glad we did because we ended up eating here three times in our three days. It is called Meisterstuck and the food was incredible and the staff was so friendly! 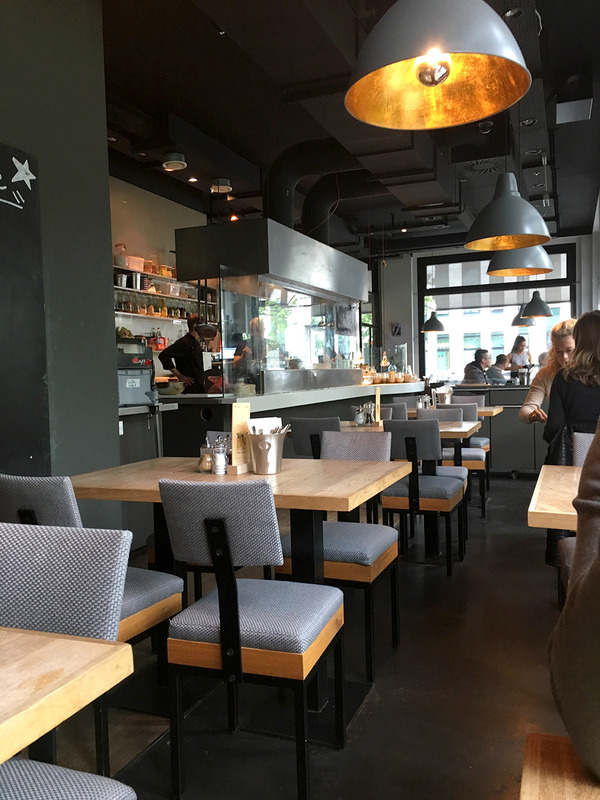 Meisterstuck is meatery/gastropub and authentic german food, great design and eclectic decor. You can probably tell in the picture, but Caleb's eyes lit up when they placed an entire plate of sausage and sauerkraut in front of him. He didn't make a fuss the entire time we were in Paris, with light salads, quiches and pretty small portions, but he was so excited to finally experience hearty and flavorful food. 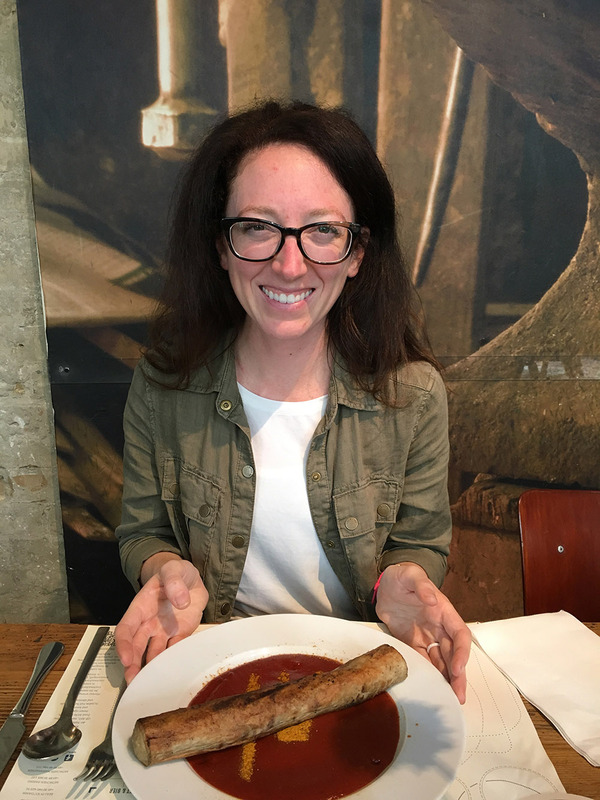 I tried the currywurst, which is a special dish of Germany. 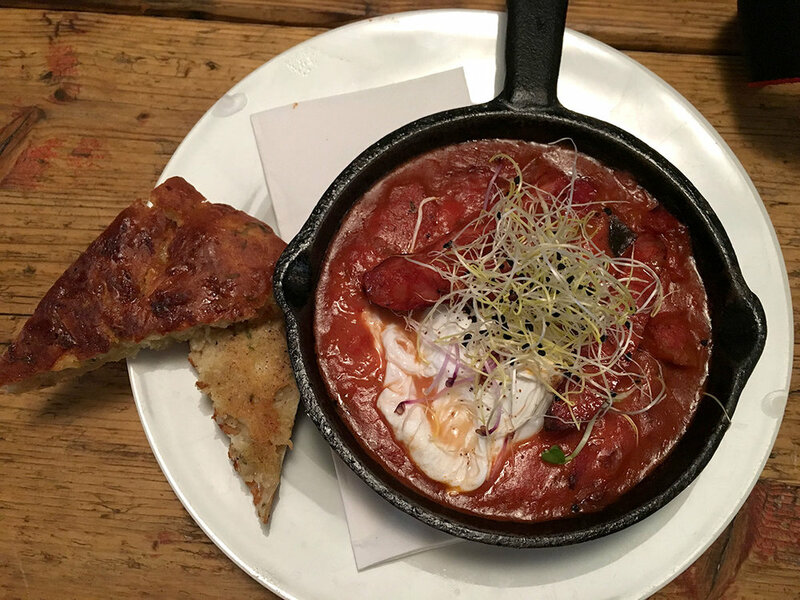 It is a sausage on top of a sauce that tasted like a mixture of ketchup, curry and bbq sauce. It was very good! After filling our bellies with as much german bread and sausage as we could handle, we got their business card and walked into the square. The square was flanked by large domed buildings on each side and a fountain in the middle. And in front of the fountain were two musicians, a violist and cello playing classical music. The center building we learned was a music hall. After sitting on the steps and taking in the music with the skyline, we set out to find Checkpoint Charlie and the Topography of Terror museum. 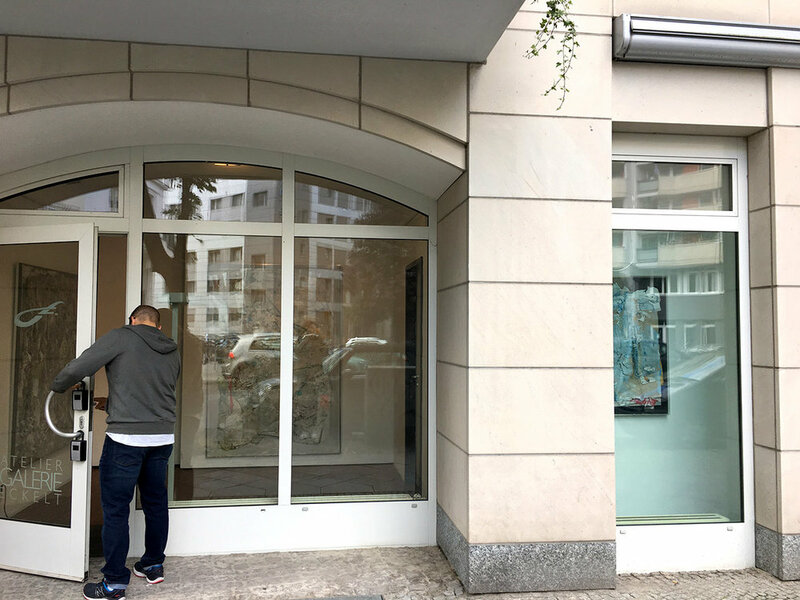 The Checkpoint Charlie museum is all about the Berlin wall, the reasons why it went up and all of the escape attempts people tried to get out of East Berlin. Not until the next day did we see the major contrast even today between East and West Berlin. Checkpoint Charlie was the checkpoint or cross point of the Berlin wall. The escape attempts were crazy and very creative, hideouts in car engines with extra suspension so that one side of the car wouldn't sag. Manufactured suitcases that would fit an adult. Hollowed out surf boards. Anything they could dream up, they tried. It was even more crazy to think that the wall came down in November of 1989. I had been alive for eight months before the wall came down, while all of these attempts to escape were happening. It's disturbing to think that things like walling in an entire city happened in our lifetime, and that it's not a part of some distant past. 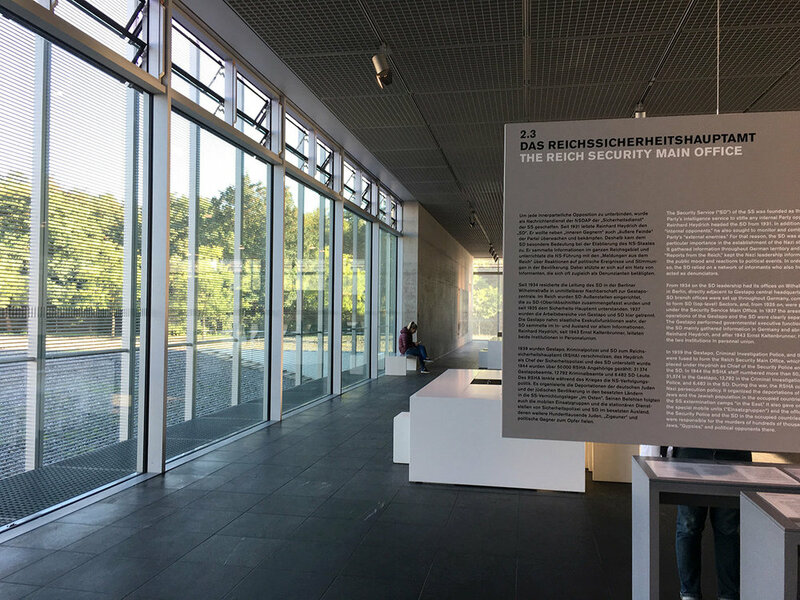 The Topography of Terror museum was extremely well done. It was set away from the street in a sleek metal building with cement walls and floors and windows along the sides. It was a museum telling the story of how the Nazi's rose to power. It went through each major event and decision that little by little allowed them to take advantage of regular people, and then the government. I have always thought that they took over by force, but that wasn't true at all, they were elected in by the majority because they promised a lot of wonderful things in a time of desperation and economic downturn. We spent a couple of hours in the museum reading and reflecting. It's extremely sad, but so important to learn about. Afterwards, we went to the Mall of Berlin to get one more layer of warm clothes for the rest of our trip. And Berlin knows how to do their malls. Three stories of inside and outdoor shopping with a beautiful square in the middle. Well done Berlin! We decided to take our second day easy. All of the early mornings and walking our feet off had caught up to us. So we slept in and got breakfast near our Airbnb at Chipps. It was delicious!! Caleb had eggs, sausage and toast, while I had the french toast with egg and bacon. After breakfast we strolled around the area for a bit and headed back to our airbnb to get the day pack together and set out for our Third Reich walking tour. We took the tour through Sandleman's and we can not recommend this tour enough. The tour is very heavy with the topic of the Third Reich, but our tour guide, Mark was so knowledgeable and was able to explain a lot of the details in such a great way. 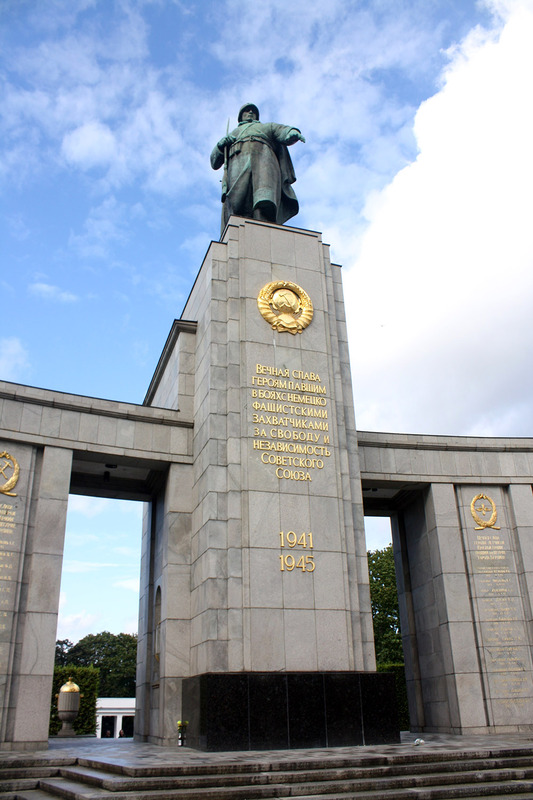 The tour highlighted the Brandenburg gate, the Reichstag, the Tiergarten, the gypsy and homosexual memorials, the Jewish memorial, Hitler's bunker and the Jewish quarter. Each memorial was well done and allowed for space and reflection. If you have any interest in Germany's history or would like to pay your respects at the memorials, this is a great tour to do. After the tour, we walked to Marienplatz and saw the TV Tower and the churches that share the square. Sadly the tower had just closed, so we weren't able to go in. Then we made our way to Berliner Dome and what they call "museum island". By that time our feet were exhausted from walking all day, so we found the closest ubahn and made our way back to Meisterstuck for dinner. Told you we loved it! TV Tower. It was constructed between 1965 - 1969 and is the tallest building in Germany. The channel around "Museum Island"
Our third day, we woke up early to try out our first international crossfit workout. Our goal was to get a shirt in each city we went to. On our last day in Paris, we literally ran into Crossfit Louvre and grabbed tshirts and got to tour the gym, but other than that, we didn't have enough time to get a workout in, so this workout was rough, but also very refreshing. We then went back showered and set out for a day in East Berlin. 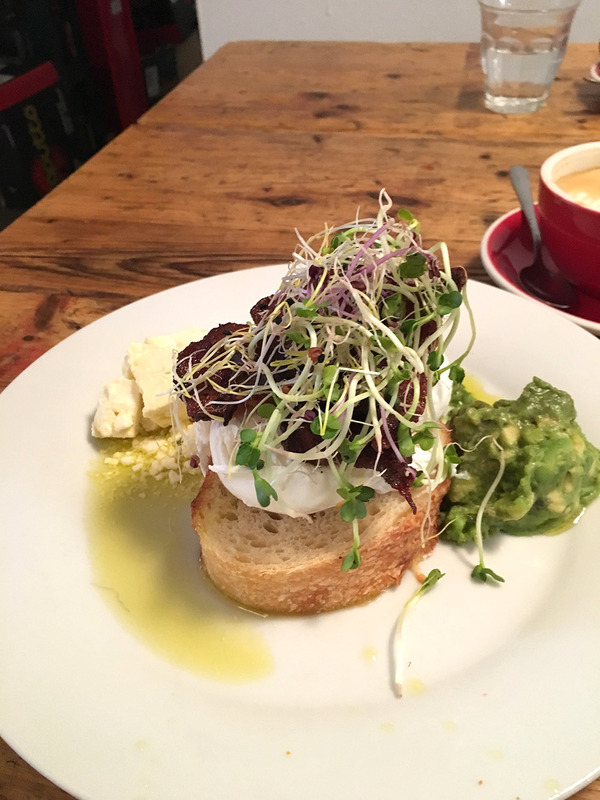 I had found a coffee shop called Silo Coffee on instagram that looked fantastic, so we made our way there for breakfast. It was nestled on a cool street filled with little boutiques and shops. 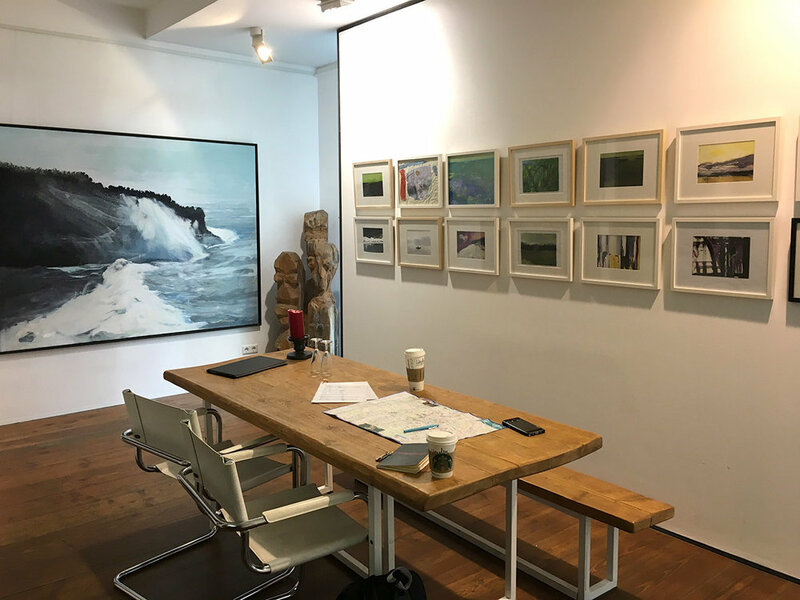 I'm not sure if I've mentioned yet in these travel journals, but we must like really strong coffee, because we could not find coffee strong enough for us in London or Paris, but we struck gold at Silo coffee. The coffee was strong and the breakfast was fantastic! 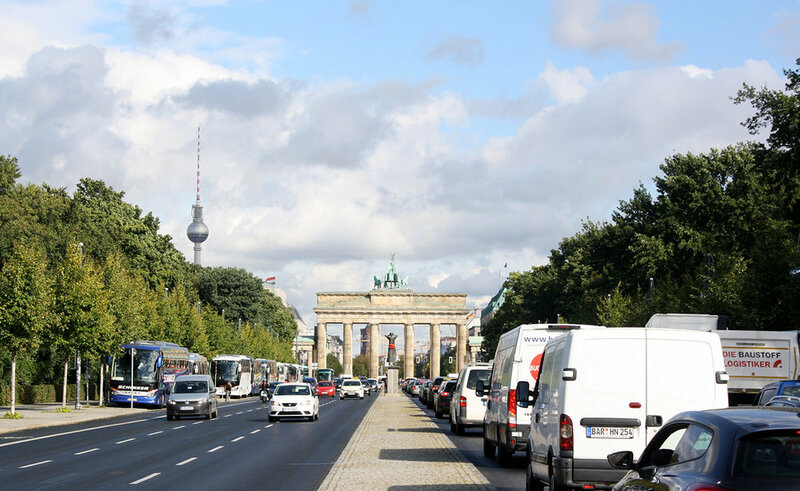 After filling up, we then set out to explore East Berlin and find the east side gallery, which is the part of the Berlin wall that is still intact, for the most part. It's now an ongoing art installation and tourist destination. I mentioned earlier, but there is a stark contrast between East and West Berlin. West, being occupied by the Allies was kept up-to date and became a highly modern city. East Berlin pretty much sat in turmoil, being occupied by the Soviets. Nothing was created or built and no innovations were done. 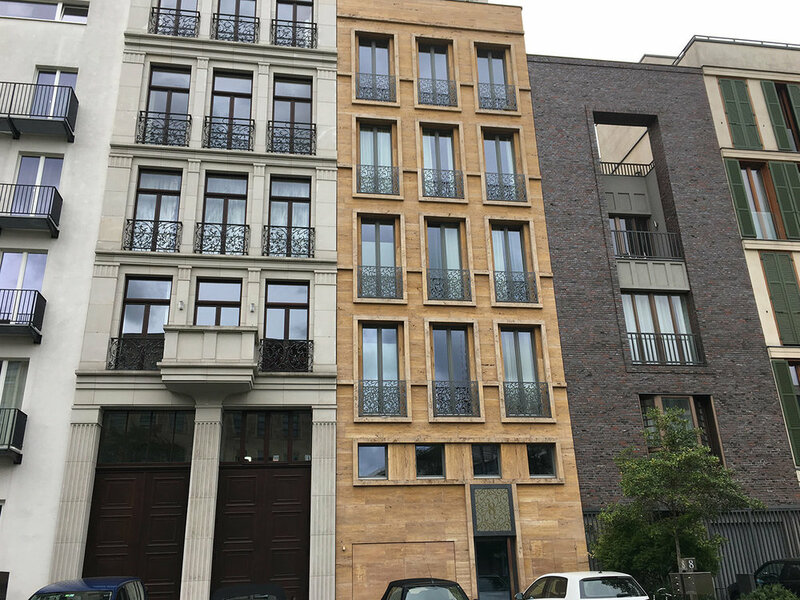 So even today, you can see that East Berlin is behind West Berlin in architecture, buildings, and overall modern things. The buildings are older and there is construction everywhere renovating and keeping up the original buildings. But the feel now is very artsy, unique and grungy. 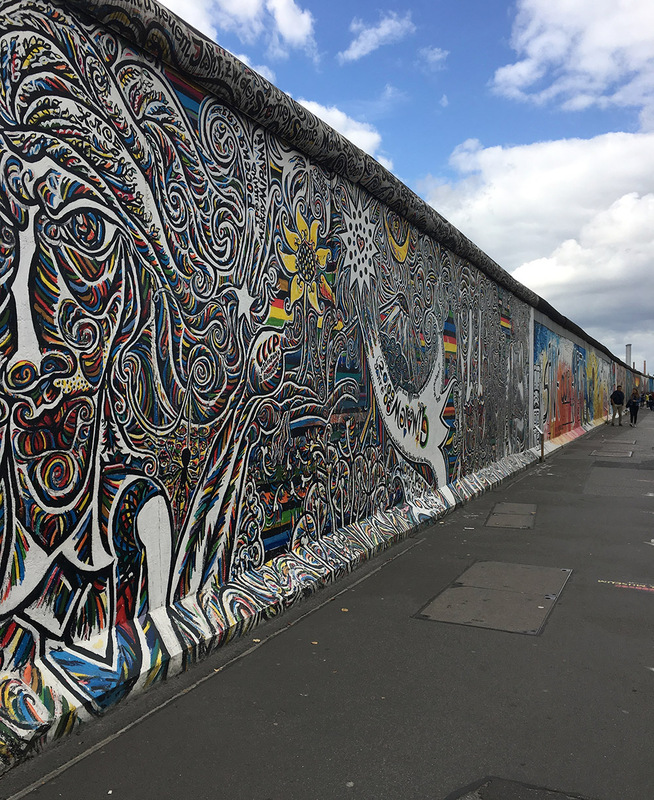 The east side gallery goes for miles and miles. Every twelve to fifteen feet is a different mural done by a different artist, and at most areas both sides of the wall have paintings, so you could spend hours walking up and down it taking them in. We walked to the very end of the gallery and then tried to find the nearest ubahn to head back to the West side to get souvenirs and gifts. But being tourists and getting easily turned around, we got lost and happened upon the coolest urban paradise. It is basically a village of buildings and outdoor areas built into and on top of each other with eclectic seating everywhere. There were artist shops, a coffee shop, a restaurant and winery. We went inside one of the buildings and asked someone to give us the history and here it is: That piece of land was supposed to be purchased by a developer to build high-rise apartments and business buildings, but this group of artists and entrepreneurs didn't want that to happen. So with the help of creative groups and individuals, they came together and purchased the land from the city and started this haven for locals, artists and entrepreneurs. It was seriously the coolest! After getting turned back around and finding the souvenir shop we were looking for, we grabbed some dinner and set off for our last stop on the list, Templehof. Templehof is an abandoned airport and runaway that the city has now turned into a public park and event center, but the catch is that everything from the airport remains unchanged and nothing permanent has been added to make it a park. So it's literally a giant runway that you can run, play and have picnics on, and it's absolutely massive. The evening we got there, they had just finished up the Berlin marathon and Templehof was the start and finish line. It was the weirdest feeling walking out on the runway. We went to sleep that night with tired feet, but so many experiences from our time in Berlin. The next morning we jumped on an airplane to my beloved city of Vienna Austria to meet up with some old friends and walk the same streets that I walked eight years ago. We learned so many things that we love from our time in Berlin. One, that German's are extremely punctual. A minute late means late. Second, they keep their cities pristine and are extremely clean. And three, they make good use out of everything. Not a single piece of land is wasted. It's functional and usable. Four, we will definitely be back! Berlin was definitely doable in three full days but if you have the chance, spend at least four days, five if you want to hit many of the museums.